If you’re looking for dog birthday ideas it can be fun to throw a canine party. 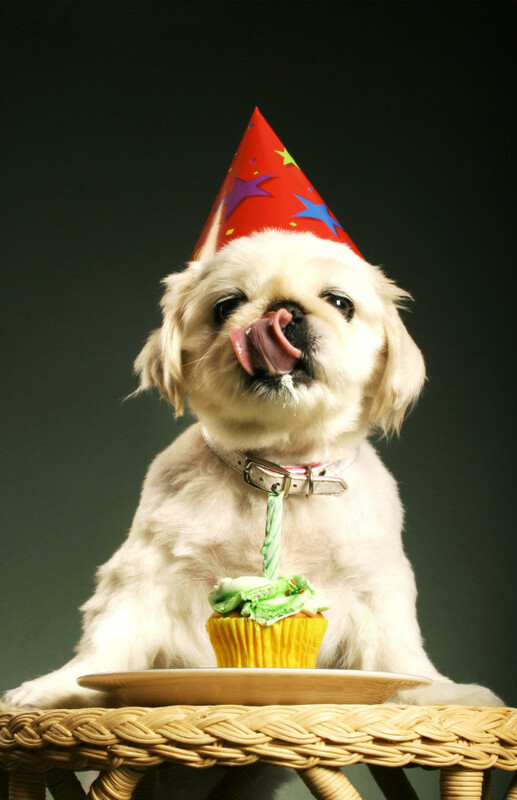 Having a doggie birthday party can be a fun way to get all your rowdy canine friends over tonight. You can play games, feed ‘em treats and tire ‘em out. If you don’t know when your dog’s birthday is, you can make one up or choose August 1st since that’s the official shelter dog birthday according to the North Shore Animal League. 1—First is your dog social? It might seem obvious but if your dog doesn’t like socializing with other pooches, then hosting a dog party in his honor won’t be a good fit. Instead, you could have a “people party” and ask them to leave the pups at home. 2—Choose a fenced in location. The whole point is for the dogs to run and play and have a good time. A fenced in yard will ensure no one worries about any escapees. If you don’t have a fenced in yard, maybe you could team up with a dog loving friend who does. An alternative is to see if there’s an indoor dog park near you. 3—Plan the guest list. Does your dog have particular doggie friends who’d be guests? Choose dogs you know to be friendly. Nothing shuts a party down faster than injury or dog fights. If it’s going to be hot out, include a kiddie pool filled with cool water to cool everyone off. You could even have a water balloon fight among the people guests. That could be fun for everyone. 5–Set out water bowls at different “stations” for convenience. Like people, your doggie guests are more likely to drink more water if it’s handy. 6—Decide on treats –Will you have treats on hand throughout the day or would you rather send them home as party favors? Will you bake a meatloaf (or other special cake)? My recommendation is to limit treats in order to prevent upset tummies. My dog went to a doggie birthday party years ago and had a great time running with the other dogs and eating his weight in meatloaf cake – he had an upset tummy for 3 days but he had a blast. 7—Dress up? Depending on your guest’s disposition, you might choose to make this even a more formal affair. Rhinestone collars and “bling” charms are perfect for those occasions. Hosting a dog party is a lot of fun. Of course, if your pet isn’t the social type, you might decide to take a long walk or hike together or go window shopping. What other dog birthday ideas do you have?